Susan Fisher joined us as Director of Collections in 2017. From 2009 to 2017, she was the Executive Director and Chief Curator at the Renee & Chaim Gross Foundation in New York City. 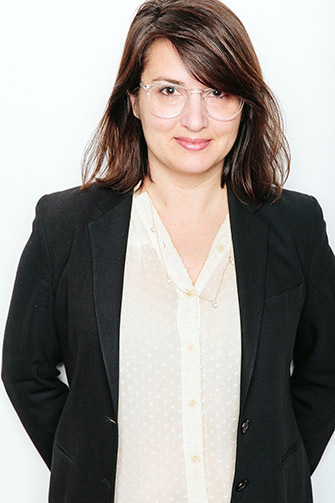 She has previously served as the inaugural Horace W. Goldsmith Associate Curator of Modern and Contemporary Art at the Yale University Art Gallery and on the curatorial staff at the Guggenheim Museum. She has organized more than 20 exhibitions on nineteenth- and twentieth-century art, including Picasso and the Allure of Language and, as assistant curator to Jennifer Gross, The Société Anonyme: Modernism for America, both of which won awards from the Association of Art Museum Curators and the International Association of Art Critics. She has taught modern art history and museum studies at Fairfield University and Yale University and holds a Ph.D. and M.A. in art history from Yale University and a B.A. from Oberlin College. In 2016 she was a Fellow at the Center for Curatorial Leadership in New York City.